If you're big into Pretty Little Liars, you're going to want to get your hands on Sara Shepard's The Perfectionists, the first book in her new twisty-turny series. Shepard is a master at writing the kinds of books that will keep you reading late into the night, gasping aloud at each revelation — and this is no exception. Nolan Hotchkiss was king of Beacon Heights High, and his reign was one of terror. He was a bully, but he could always get away with it because everyone was too afraid to cross him. Well, not everyone — because the night of his big party, he wound up murdered. Five girls in the same film class — Ava, Julie, Caitlin, Mackenzie, and Parker — took this news particularly hard, not because they liked him, but because that they each had a reason to hate him enough to joke together about how they'd kill him. And turns out, he died in that same way. Like in her insanely popular Pretty Little Liars series, Shepard reels you in and spins you around. It's not that the two stories are the same, in fact, they're wildly different, but there are elements from PLL that we all love that echo through The Perfectionists. There isn't a character in The Perfectionists that doesn't have a secret. All these girls and the myriad characters surrounding them may claim to have perfect lives, but as we all know, there's no such thing as perfect. Beneath this perfect veneer are broken families, stress, secret crushes, and even some secrets that the girls themselves can't remember. But no of these secrets compares to what they've all been holding in about the night Nolan died. You see, Nolan, much like Alison in Pretty Little Liars, knew many people's secrets. He had eased them out of the girls, or created them himself. And all he needed to do was speak up, and their "perfect" lives would come crashing down. Ali held that power, too, which is why everyone has a love/hate relationship with the two characters. And which was why when both turned up dead, there were a lot of suspects on the list. And you'll definitely be transfixed in The Perfectionists, as page by page, these secrets start to come out. 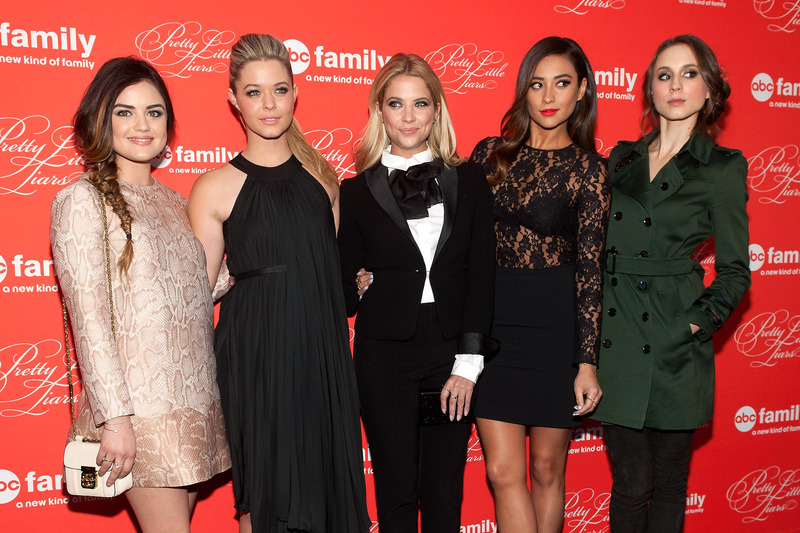 Julie, Parker, Ava, Mackenzie, and Caitlin are no slouches — just as Aria, Emily, Spenser, and Hanna aren't. The girls are ambitious, have serious skills, and aren't afraid of taking matters into their own hands. Like Emily's swimming, Caitlin has a chance at a scholarship for her soccer talent. Mackenzie is pretty much a shoo-in for Julliard because she can rock the cello. And Ava, like Spenser, is a straight-A student. And when trouble finds them — and believe me, it does — yes, they panic and yes, they're confused, but they pull together and go in search of the truth, even putting themselves in danger by doing so. The power of the Queen — or in this case King — Bee in high school is inescapable. Everyone in their orbit is subject to their ridicule and judgement. And the girls sometimes have to keep secrets in order to maintain their place in the high school food chain. Come to think of it, Nolan and Ali could have been one pretty (and I do mean pretty) terrifying couple. But it's not just Nolan. In The Perfectionists, it seems like a lot of people will claw their way to the top, or at the very least, to not fall to the bottom. And they aren't afraid to take others along with them. Jenna shows up in Pretty Little Liars like a Gothic Audrey Hepburn, and she's hiding the truth behind how she was blinded. The Perfectionists' Parker isn't blind, but she does have scars of her own, and she, too, isn't about to let the secret of how she was hurt out. All we know is that Nolan has something to do with it. Let's just say Aria and Ezra, a.k.a. Mr. Fitz will have to get in line behind the multiple complicated romances that spring up in The Perfectionists. No spoilers! *Cough* Speaking of Mr. Fitz, get a load of Mr. Granger, the studly film teacher who shows the class And Then There Were None — foreshadowing much? So yes there is backstabbing, and yes Ali is a quintessential mean girl, but Aria, Emily, Hanna, and Spenser would do anything for each other with the text of one S.O.S. And if anything bad happened, they were there in an instant to rally around. While all the girls in The Perfectionists aren't BFFs yet — though I have a feeling we're getting there — Julie and Parker are true best friends. They each hold the others' most precious secret and you just know they won't give it up. They've stuck through each other through some extremely difficult times, and you just know this experience is only going to pull them all together. As for Caitlin, Mackenzie, and Ava, let's just say they're well on their way, too. There are so many twists and turns — it was him! no her! he's acting weird! — that you can barely turn the pages fast enough. And in true Shepard style, she's not afraid to leave us aching for more. Let's just say you're going to have to race me to the bookstore for the next, and final, book in the series.